Lincolnshire CCC claimed a maximum 24 points whne they welcomed Cambridgeshire CCC to Cleethorpes for their second match in the Unicorns Eastern Division Championship. On a hot sunny day, Lincolnshire won the toss and elected to bat. Openers Joe Kendall and Chris Jones gave the home side a perfect start putting on 81 for the first wicket before Jones was dismissed for 32. There then followed the outstanding partnership of the match as Kendall and Louis Kimber added 173 for the second wicket. Kimber continued his fine form, making 82 from 110 balls to put Lincolnshire firmly in control of the game. Kendall was next to fall for an excellent 142 as Lincolnshire reached 299 for 3. At this point Bilal Shafayat had played himself in and now took control, hitting a brilliant 101 not out off 102 balls as Lincolnshire passed 400 with Carl Wilson hitting a quickfire 39. At the end of their allotted 90 overs Lincolnshire had totalled 442 for 7 with maximum batting points secured. When Cambridgeshire batted, Lincolnshire made early inroads into their batting and reduced them to 116 for 5, with four different Lincolnshire bowlers accounting for these wickets. There then followed Cambridgeshire’s best partnership of the innings as Jamie Seabrook and Alex Woolliscroft added 144 before Seabrook was dismissed by Nick Keast for 78. Woolliscroft continued to attack the Lincolnshire bowling and took his side’s total past 300 before he was dismissed by Keast for 104. Cambridgeshire’s innings finally concluded at 355 for 9 off their allotted 90 overs. Keast, with 6 for 137, was Lincolnshire’s most successful bowler as they claimed maximum bowling points and a first innings lead of 87. Lincolnshire’s task was now to set a substantial target for Cambridgeshire and also allow themselves sufficient time to dismiss the opposition on what was still a fine batting surface. Kendall and Jones again gave the home side a good start making 69 for the first wicket. Kimber fell for a low score and Jones was run out for 50. Dan Freeman then joined Shafayat as they added 80 for the fourth wicket before Shafayat was out for 45 and the lead stretched to 257. Freeman continued to press some Lincolnshire’s advantage finishing on 85 not out as Lincolnshire declared on 268 for 8 some half-an-hour before lunch on the final day setting Cambridgeshire 356 to win. Lincolnshire would have around 70 overs to dismiss the opposition and the task looked well achievable as Cambridgeshire were reduced to 74 for 4 and 95 for 7. Yet again, however, their lower order offered stout resistance to the Lincolnshire attack with Recordo Gordon (40) and James Vanderpeer (76) frustrating Lincolnshire’s charge for victory. Eventually the recall of Nick Keast to the attack saw Cambridgeshire dismissed with around 9 overs remaining for 239 leaving Lincolnshire winners by 116 runs. Nick Keast with 4 for 91 was again Lincolnshire’s most successful bowler and his match figures of 10 for 228 proved decisive. Lincolnshire took a maximum 24 points from the match and Cambridgeshire 7. 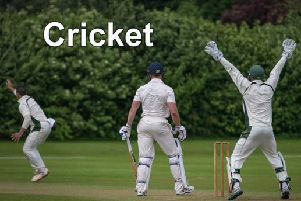 Lincolnshire’s next fixture is at Chesham commencing on Sunday, July 22, where they face the current joint Eastern Division leaders Buckinghamshire.